Minimum age for participation is 10 years (Junior EANx certification) or 15 years (EANx certification). 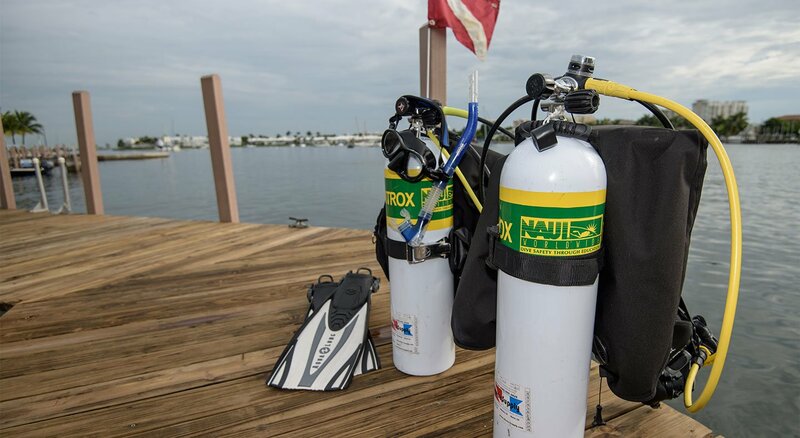 Divers must be in good physical condition to enroll in a NAUI Enriched Air Nitrox Diver course. Participants may be enrolled in a NAUI Scuba Diver Course or must be certified as a NAUI Scuba Diver or equivalent. Wetsuits and fun await! Continue your training by enrolling in a NAUI Advanced Scuba Diver, NAUI Rescue Scuba Diver or NAUI First Aid course. Materials Included: Academic material, certification card, instructor fee & lab time.